For Larsen steel piles, some of us know not too much, but if you are engaged in engineering, then you will be very understanding of the Larsen steel sheet pile. Because the steel sheet pile is the necessary building materials, especially in recent years, steel sheet pile is not less of the product. Larsen steel sheet pile is a new type of building materials, each new product will always cause a great impact in the market. Although the Larsen steel sheet pile is not recently only in the project began to use. In foreign countries, Larsen steel sheet pile has long been widely used in engineering, but in our country, for Larsen steel sheet pile is indeed a new product, because in the past, the project almost never used Larsen steel sheet pile, even if there is, it is also very small, but also in the country's large-scale projects, but in the market is still very strange. 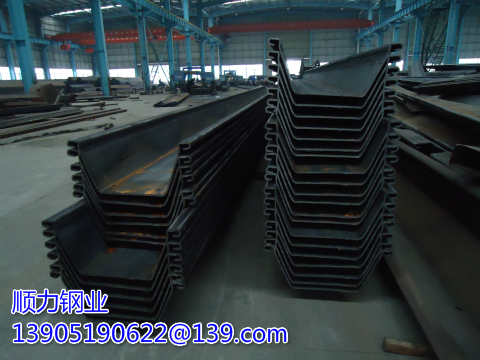 Larsen steel sheet pile lease in the market to do is good, because it adapted to the needs of people, so you can get so many people of all ages. Larsen steel sheet pile rental is indeed a very good industry, where the profit is good, that is because of this, so now a lot of young people are running to do Larsen steel sheet pile lease, but to do steel sheet pile lease Work, or to a certain cost, Larsen steel cofferdam construction which need to pay attention to safety precautions said in front, the price of steel sheet pile is very expensive, so to do rental sheet pile, it is necessary to have a certain start-up capital can.